The dog is about 14 inches long. 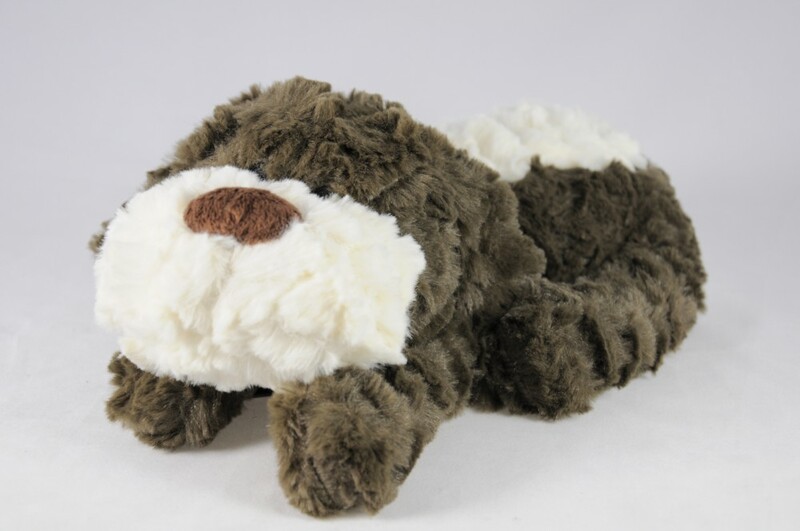 He's cuddly, dark brown and he makes an ideal present for both girls and boys over 36 months old. These cute, soft, cuddly dogs are filled with treated wheat grains and lavender. Instructions for use:Heat the dog in an 800 watt microwave on high power for 30 seconds. He can be cleaned with a damp cloth. He must not be machine or hand washed. His lavender scent can be refreshed by rubbing in a few drops of lavender oil.